The content marketing landscape has undergone a huge transformation in the past few years. Link building strategies that were once considered simple and solid have now been rendered arduous tasks or have resulted in dreaded Panda and Penguin penalties. Google has made it clear that you not only need to deliver the highest quality of content, but you also need to diversify the type of content that you are offering. With the new Hummingbird algorithm, content that deliverables VALUABLE and ACTIONABLE information—whether that be in the form of text, images, videos, slide shows, etc—is going to get the most attention and the highest rankings. One of the best-performing types of content that we see today is infographics (and by extension, instructographics), which are meant to display information and instructions in a unique, visual way. With the rise of sites like Pinterest and Instagram, it’s obvious how important visuals have become on the web, and these data-oriented images provide the relevance that Google is looking for. 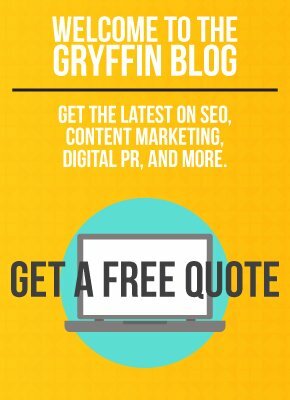 At Gryffin, we’ve partnered with a great design team to create infographics that not only relate to our client’s niche, but that are also fun and interesting graphics that people will WANT to share. For this reason, the brainstorming stage is critical. First we conduct audience research to get a good understanding of the client’s target demographic. It’s important that even in the brainstorming stage you consider your outreach–what is your target audience? 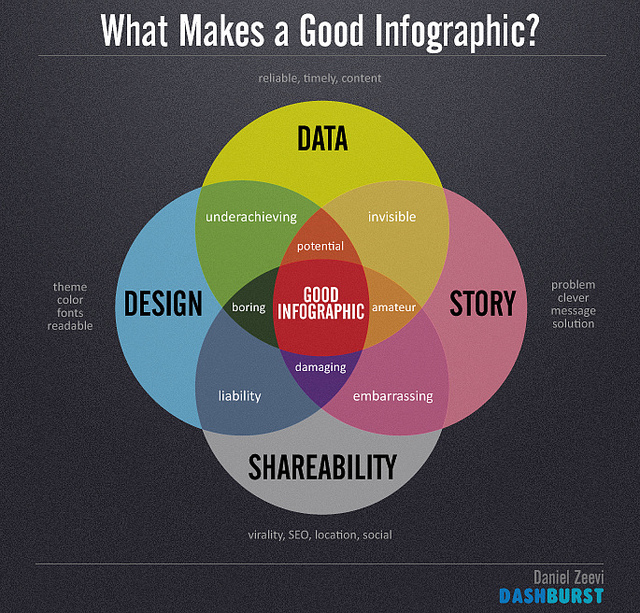 What type of sites will you be sending your infographic to? What is THEIR target audience, and what topics are they interested in? These considerations help us narrow down topics that are relevant to our client and their target audience, but still keeping away from ideas that will be out-and-out promotional. As mentioned earlier, bloggers are becoming more wary of accepting free content in exchange for a link in fear of penalties, so you want to make sure that your infographic really stands out. When it comes to design, you want to make sure that your infographic has a clear “path” of information to follow. This is more easily done in instructographics, in which you provide a clear set of instructions, but infographics are more likely to get cluttered with data. In the case of infographics, we find that the more simple and straightforward the design, the better. Another big infographic design issue is finding the right text-to-visual ratio. Use as little text as possible! If you’re going to put entire paragraphs in your infographic, what’s the point of putting it in visual form? That doesn’t mean that your data needs to be simple; it can’t be just a pretty picture. Sometimes complex ideas are the most fascinating to read, but the visualization of that data MUST be clear and easy to follow. In working with a design team, we create work orders that are very specific to make sure our client’s vision comes to life. Is your infographic a “premier” piece of content, or is it link bait? This is extremely important as it determines how much time you should invest in the design. You should always strive to make an infographic as polished as possible, but if it’s only link bait, you don’t need to spend an entire week researching and extrapolating your data. On the other hand, if you hope to make your infographic go viral and be a real buzzworthy peice of content, you need to put 110% into the design. 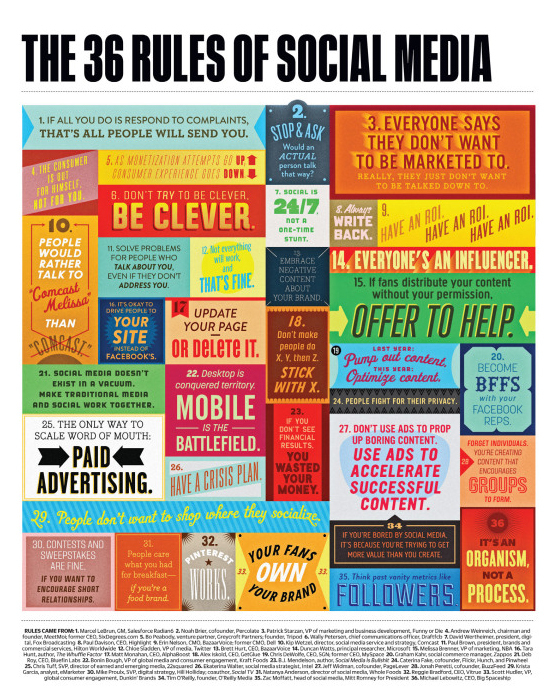 Does your infographic tell a story? Does it have a beginning or end? More importantly, does your data have a conclusion? A conclusion is not always necessary; for example, in the case of wheel-chart infographics gone right, this cheese-themed infographic acts as a guide to different types of cheese and is really fun to explore, but doesn’t incorporate a lot of data. Does your infographic pose a question? Similar to blog post titles, infographics that pose a question (What/Why/How) or provides a list (Top 10/The Best and Worst Of…) tend to perform well, and make it easier to come up with a “flow” of data. In the case of length, consider your niche. If you’ll be promoting business and marketing sites, long infographics with a lot of research involved is very appropriate. On the other hand, if you’re pushing a beauty infographic and plan to promote it mostly on fashion bloggers websites, small and narrow (to better fit the blogging layout) is probably better. No matter how well-designed, an infographic won’t work for you if no one sees it! Having already established our target audience, as soon as our infographic is complete, we begin sending it out to relevant sites. We use Google search operators to find websites that accept submissions and have hosted infographic content before. For those of you looking to promote your infographics as well, be careful in your outreach so that you don’t seem like a spammer. Customize your emails as much as possible. Be specific in WHY you think your content is valuable. Be upfront in your desire to get a link in return. Also, even if you have an embed code ready, don’t send it with the initial email. This is often interpreted as spammy behavior and according to Matt Cutts, could eventually devalue that link. Instead, we offer an extra incentive to all the sites we contact: a custom written introduction for each infographic. This increases the value of the infographic, establishes a connection with the target audience, and sometimes encites their engagement with the content. We also place the link to our client within this custom introduction, which acts as an active “endorsement” of our client by the site that is posting the infographic (as opposed to a hidden link in the image HTML markup). There’s no way to stress enough HOW important it is to make sure your content is of value to your audience. To maintain rankings in the post-Hummingbird world, you need to prove that you are an expert in your field. The content that you create is a reflection of your authority, which means you need to be publishing as much as you can, in as many mediums as you can, right away!